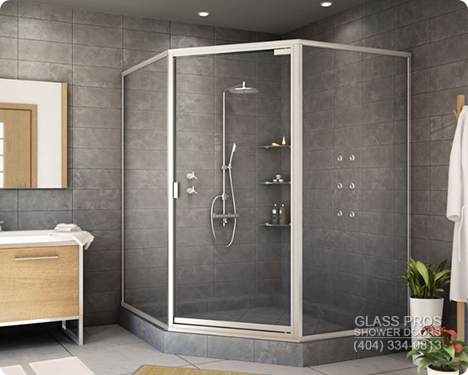 Semi frameless glass shower enclosures include a decorative header, or single metal frame, across the top of the glass enclosure, but the shower door itself is frameless. The header not only produces a great deal of support for the glass enclosure and shower door, it also provides an additional accent to enhance the flow your bathroom. 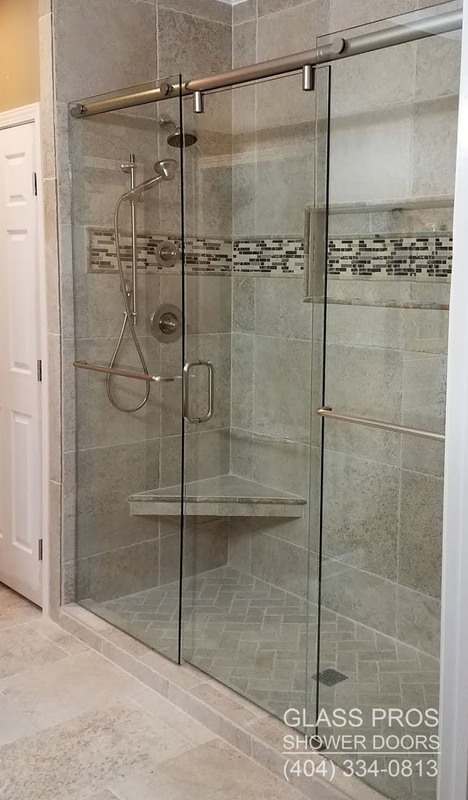 In fact, many repeat customers who felt compelled to choose frameless enclosures originally, have come to prefer the beauty and durability of the header which sits atop the semi frameless shower enclosures. Especially striking in large bathrooms, we can match the metal header on a semi-frameless enclosure with the finish of the shower door handle as well as the existing bathroom faucets and cabinet hardware. 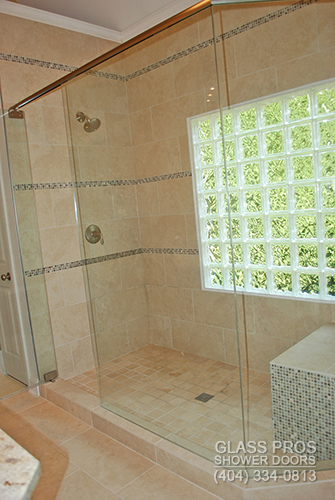 Another significant benefit of the semi frameless shower enclosure is cost savings. 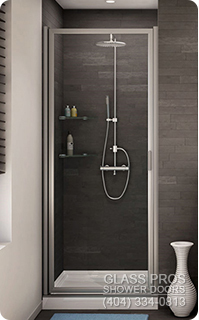 As the name suggests, a metal frame surrounds all glass in both framed shower doors and enclosures. Budget minded consumers as well as homeowners faced with multiple bathrooms remodeling projects occasionally choose this solution. Not as sleek in appearance as the semi frameless shower enclosure, you won’t sacrifice a striking and updated look altogether with framed shower door or enclosure. 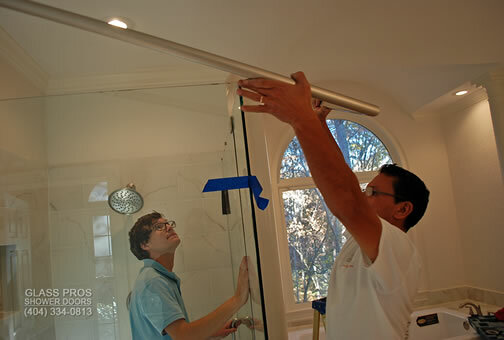 No matter what style of door or enclosure you choose for your bathroom, you may depend upon the expertise and ability of the Glass Pros installation contractor. This means there will be no cracked tile or extraneous drill holes left behind for you to look at every time you’re in the shower. Every Glass Pros customer receives a 100% satisfaction guarantee plus a written warranty.